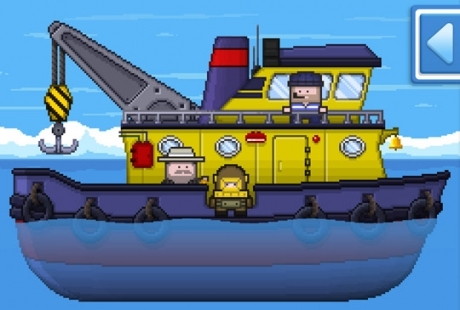 Deep Loot is an underwater adventure game developed by Monster and Monster for mobile platforms including iOS and Android. The gameplay consists of diving as far under the ocean as you can to beat the depths reached by your friends. Along the way you can collect loot and discover deep sea creatures. The developers describe the ocean environment as "infinitely explorable." I'm Dave the Art Monster and I'm currently working hard on a game called Deep Loot. I'll do my best to update the Gamewise page when I can! Check out this awesome looking indie game being developed in the UK. Love the 16 bit graphics!